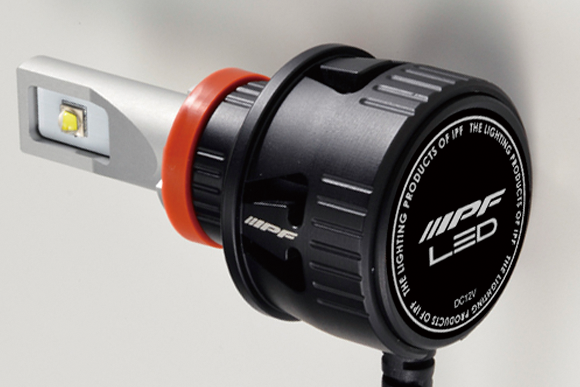 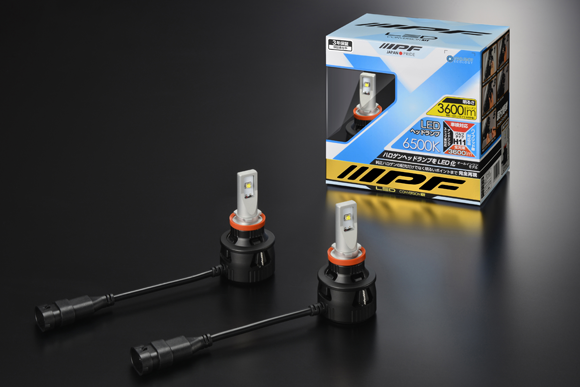 IPF's "LED HEAD LAMP CONVERSION KIT" is optimized its LEDs placement in the millimeter detail, which produce light brighter than other luminous source��such as a halogen light. 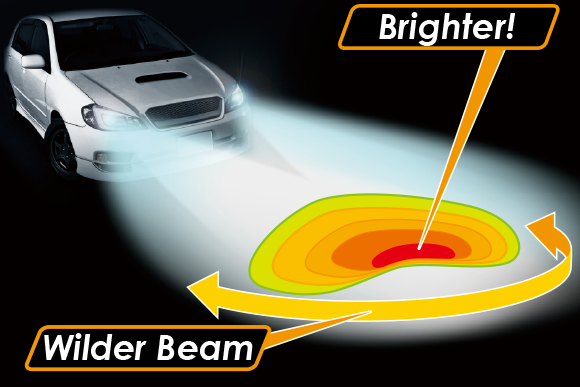 Optimization of LEDs thoroughly produces the most luminous spot so-called the hot zone. 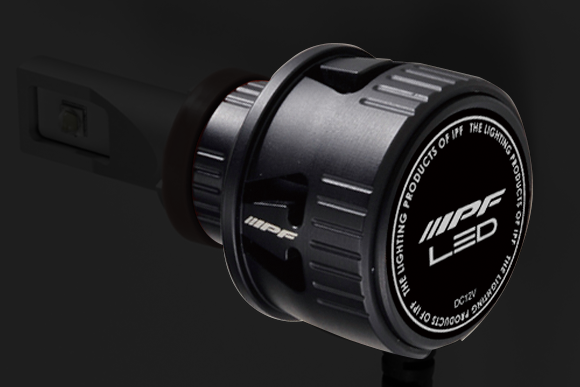 Sought and then worked out the way of excellent light distribution with a wide visibility, overwhelming brightness, and whiteness by optimizing luminous point. 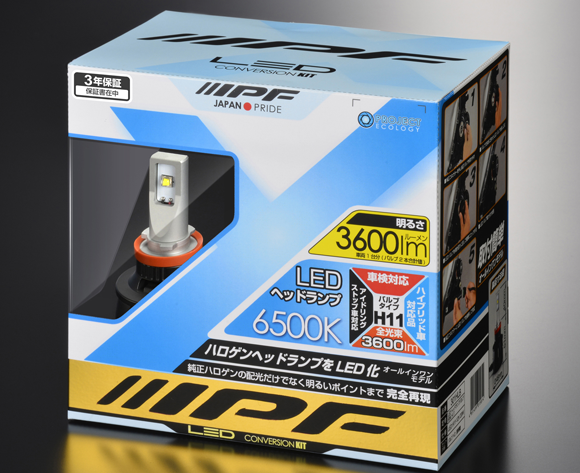 This advanced brightness can NOT ONLY be emitted by a bulb itself(lm) but also being utilized light quantity without waste. 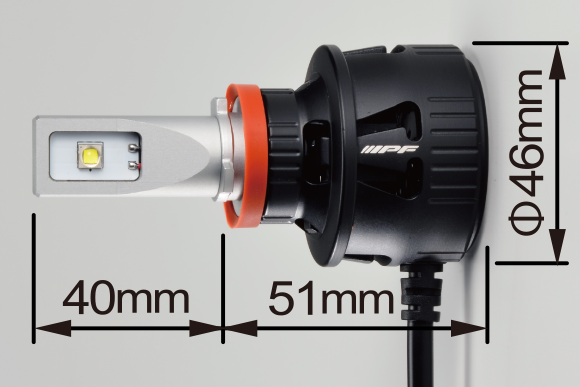 Room for installation: Requires 32mm space from a genuine bulb's total length. 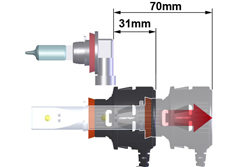 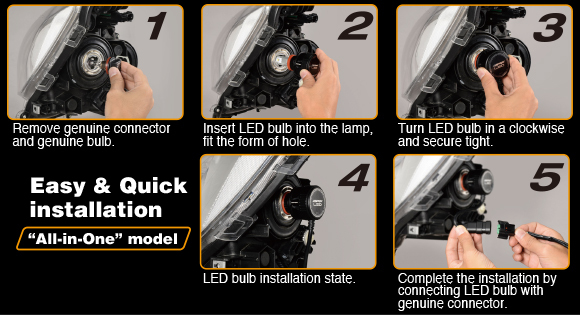 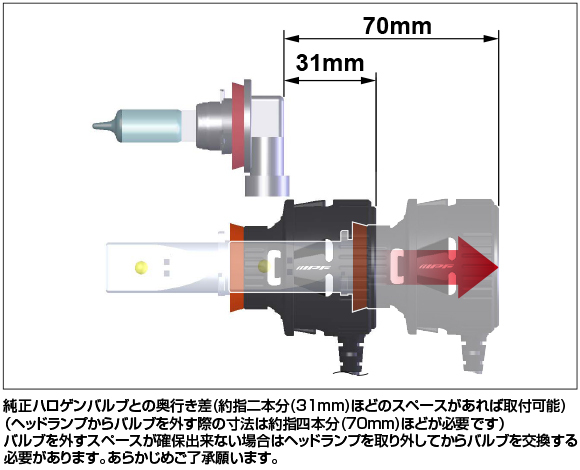 When removing the LED bulb, 70mm space is needed as shown by the illustration above.